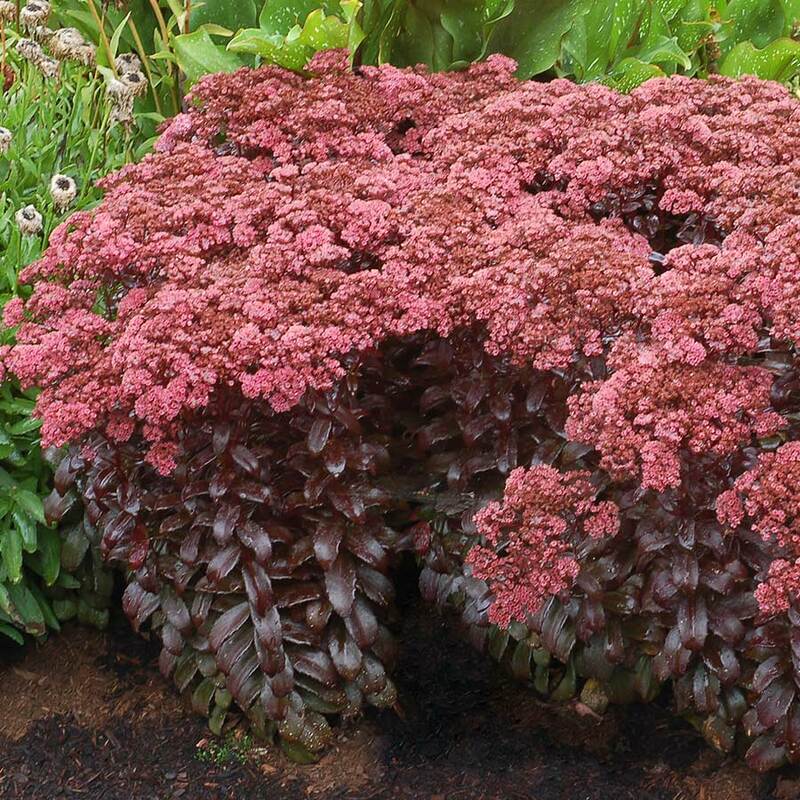 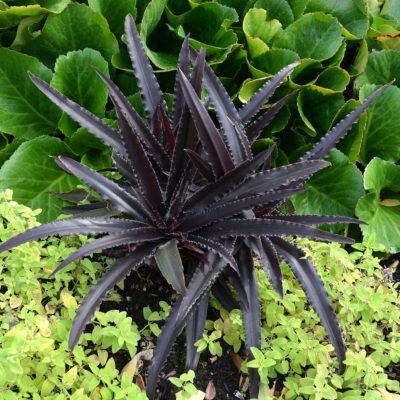 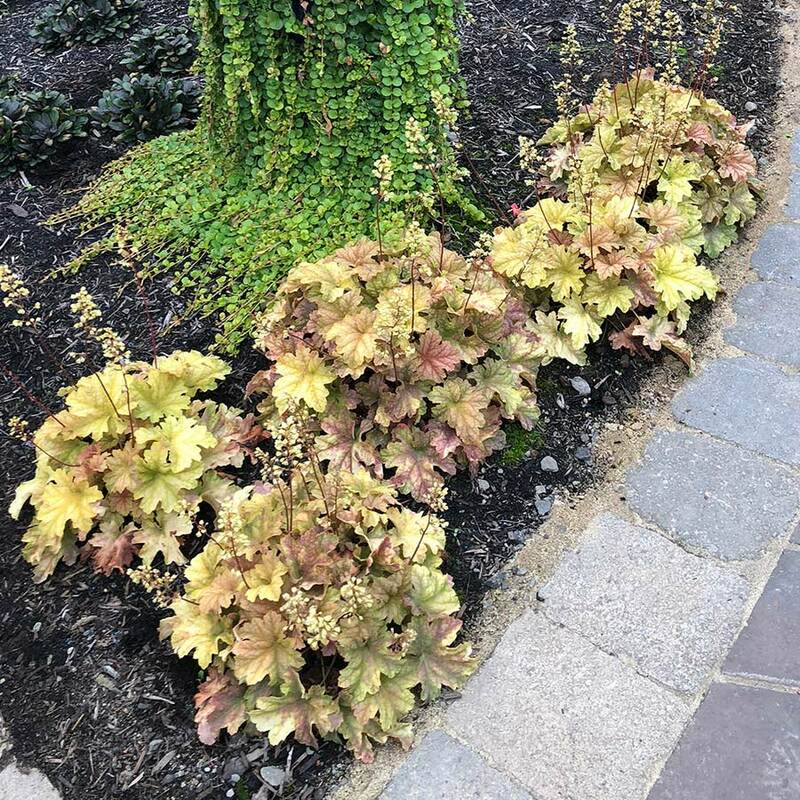 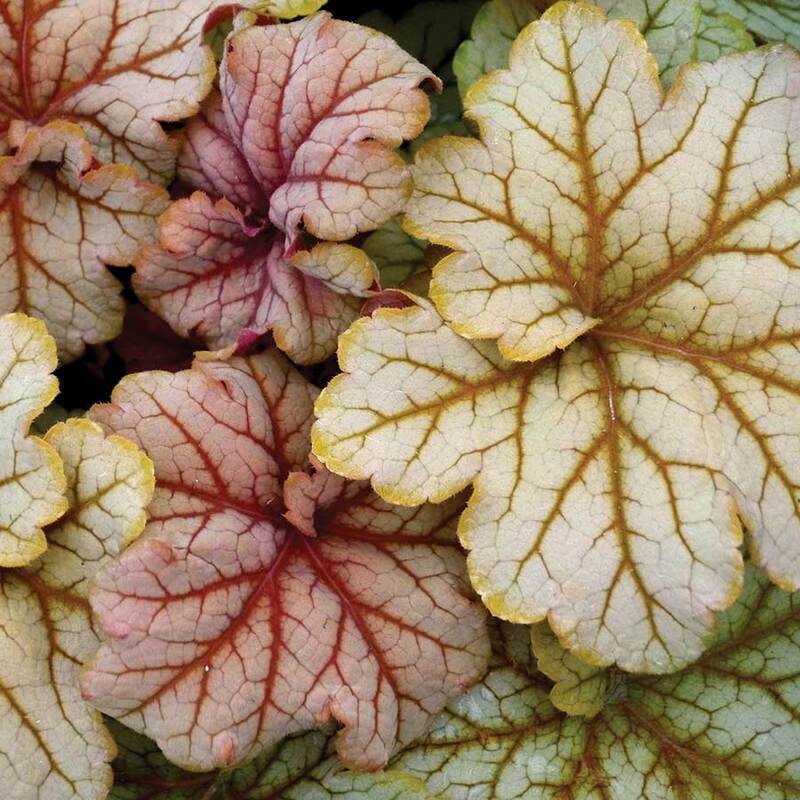 Heuchera ‘Topaz Jazz’ | TERRA NOVA® Nurseries, Inc.
'Topaz Jazz' sparkles with style. 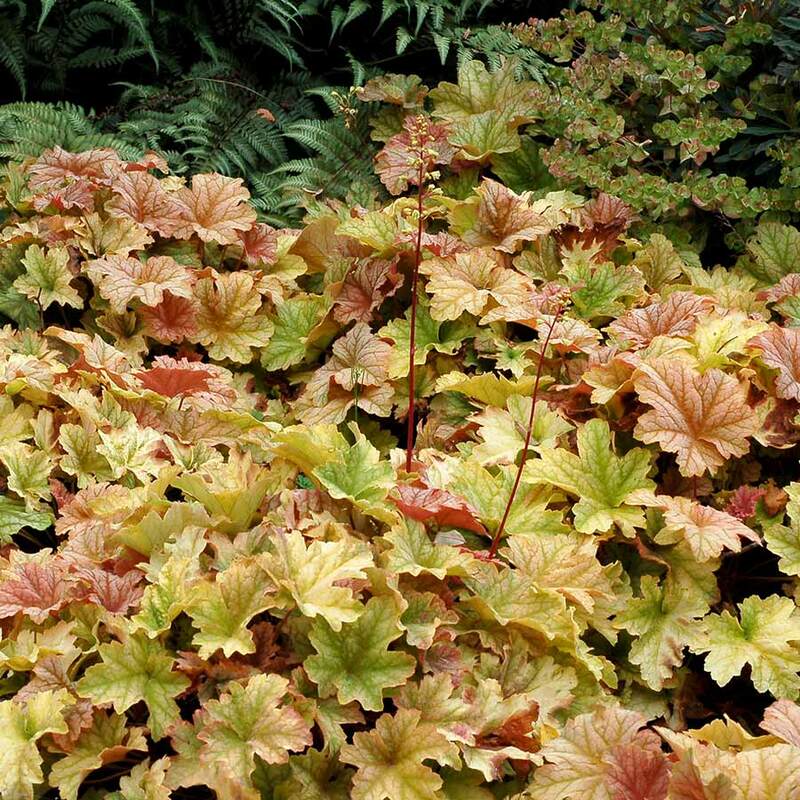 The lovely lobed leaves change in color from honey topaz to gold to lime green, always with a strong white veil. 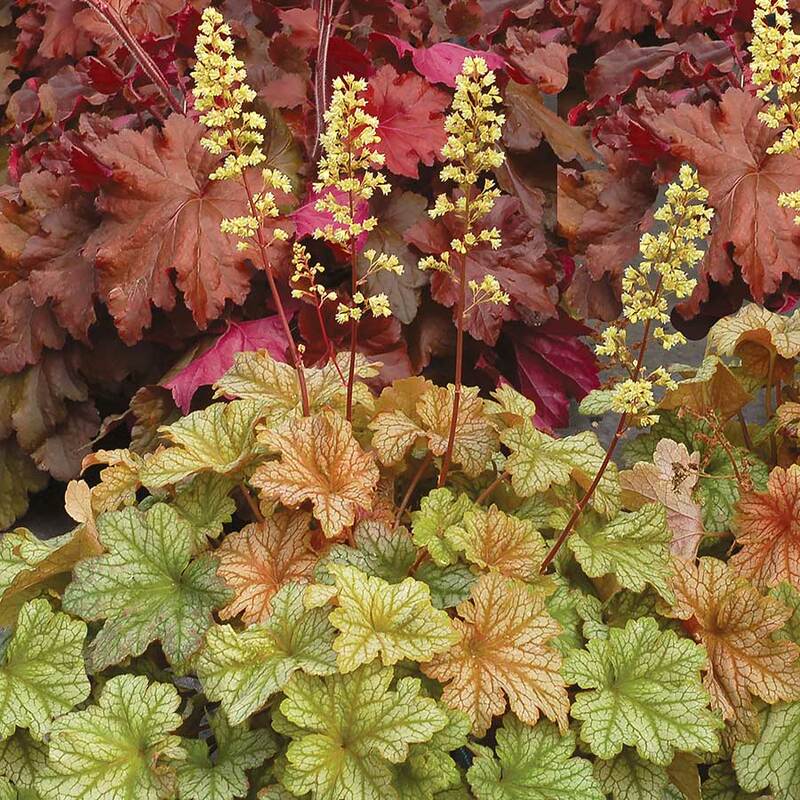 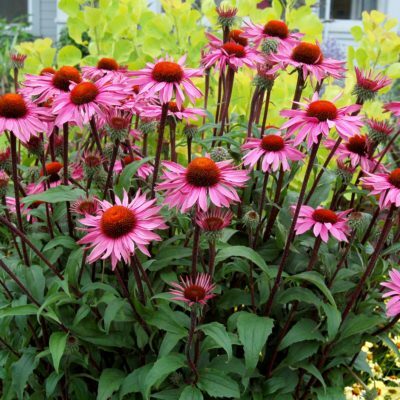 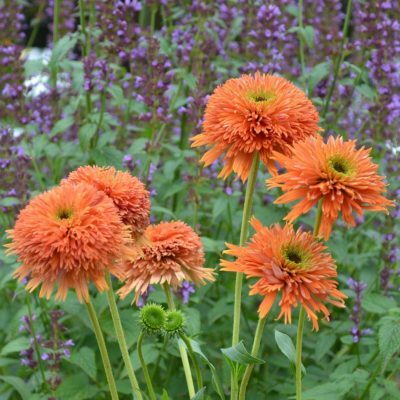 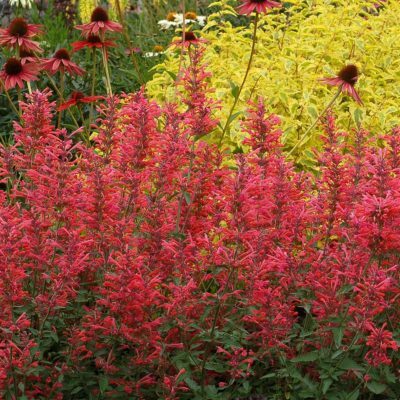 Short maroon stems with wands of creamy yellow green compliment the foliage.